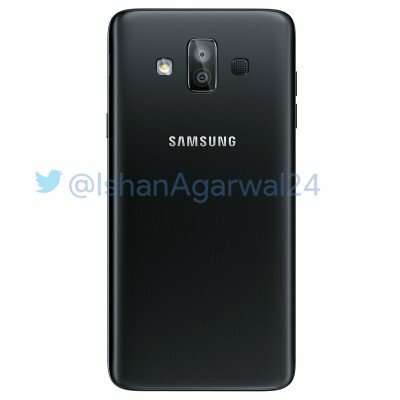 Samsung seems to be preparing for a launch of another budget-oriented smartphone soon as the official press renders of the Samsung Galaxy J7 Duo are now out, along with the spec sheet. Looking at the design of the phone and the specifications, it looks like Samsung still hasn’t learned from its previous mistakes. The Galaxy J7 Duo lacks some features that are must-have for a 2018’s phone. Also, the company is sticking with its two-year-old Exynos 7870 processor for this phone also. 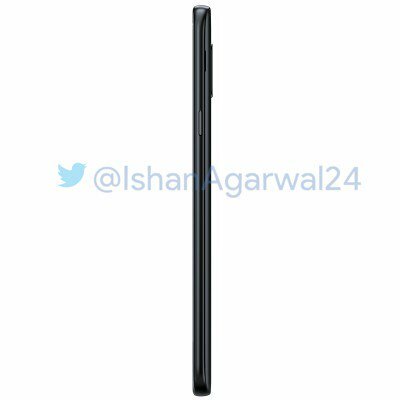 Talking about the design of the Samsung Galaxy J7 Duo, there is no 18:9 display and we still have no budget offering from Samsung with an 18:9 panel. From the front, the phone has a typical Samsung design with a physical home button that also works as a fingerprint reader. Two touch capacitive buttons are present on either side of the home button. 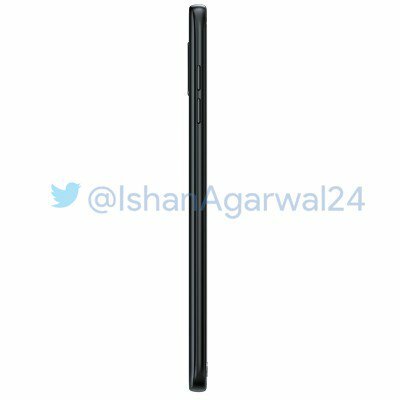 On the top, there is the earpiece, front-facing camera, LED flash and normal sensors. Things change a bit on the rear as there is now a dual camera setup. 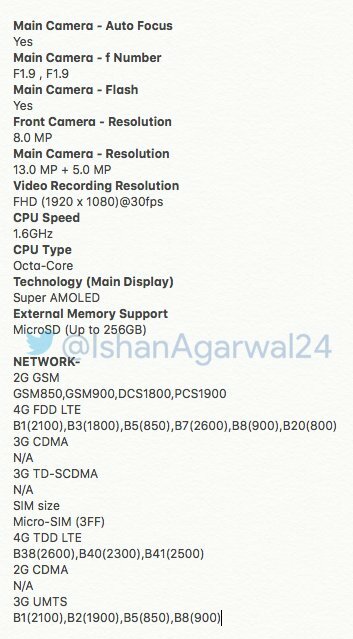 This is the reason why the name of the phone includes ‘Duo.’ The LED flash is present on the left while speaker on the right side of the dual camera setup. On the left, there are volume rockers while the power button is on the right side. If you are wondering about the SIM card tray, then it is worth mentioning that the rear panel can be opened and below it are the SIM card slots. We are also expecting a dedicated micro SD card slot underneath the rear panel. 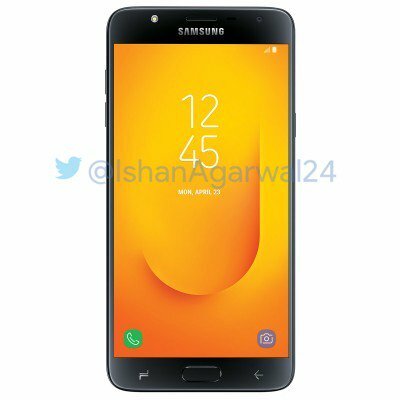 Finally, coming to the Samsung Galaxy J7 Duo specifications, it has a 5.5-inch Super AMOLED HD display ( not even FHD!). It is powered by the octa-core 1.6GHz Exynos 7870 processor along with 4GB RAM and 32GB ROM, with the option to expand the storage up to 256GB via micro SD card. On the rear, the Galaxy J7 Duo has a dual camera setup that includes a 13MP f/1.9 lens and a 5MP f/1.9 lens. On the front, there is an 8MP camera with f/1.9 aperture. There is no USB Type-C port as the phone has a micro USB port. 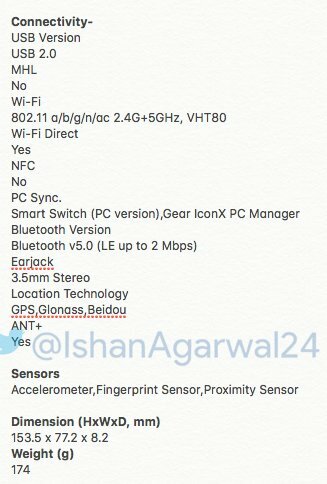 Other features include GPS, GLONASS, Bluetooth 5.0, Android Oreo, etc. Previous leaks have suggested a 3,000mAh removable battery under the hood. The launch will happen pretty soon in India, so stay tuned for details related to pricing and availability.